Beyern Aviatic, with its air of aircraft-like precision, simplicity, strength and elegance, is perhaps the ultimate in BMW wheels. Because most BMW owners replacing stock wheels prefer to upsize, Aviatic sizes, in addition to 17x8, include 18, 19 and 20- inch diameters. It almost seems that Beyern Wheels’ new Aviatic model could be meant for no other vehicle than the Ultimate Driving Machine. Focused strictly on BMW vehicles, it was inevitable that our designers would internalize that totally Germanic design canon to such a degree. The Aviatic, with its air of aircraft-like precision, simplicity, strength and elegance, is perhaps the ultimate in BMW wheels. Because most BMW owners replacing stock wheels prefer to upsize, Aviatic sizes, in addition to 17x8, include 18, 19 and 20- inch diameters. And in each of those larger diameters, two widths are available, one a full inch to inch and a half wider than the other. This facilitates opting for a staggered fitment, with wider tires and wheels on the rear axle for improved acceleration, braking and cornering. 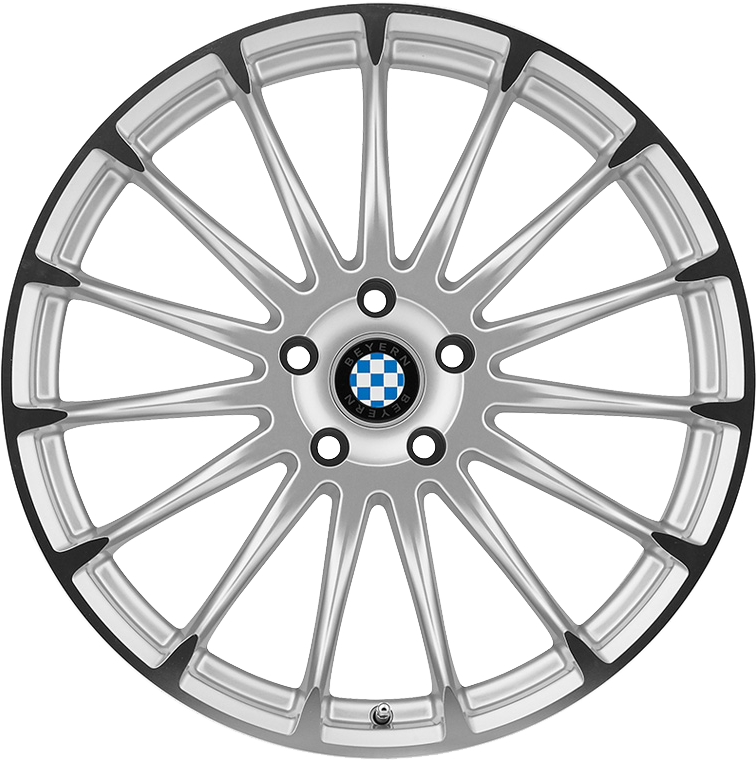 This classic BMW rims are available in innovative gunmetal with a gloss black lip or in more traditional silver with a mirror cut face.